The Detroit Pistons nominee for the annual Jr. NBA Coach of the Year Award has been selected as one of eight national semifinalists for the honor. 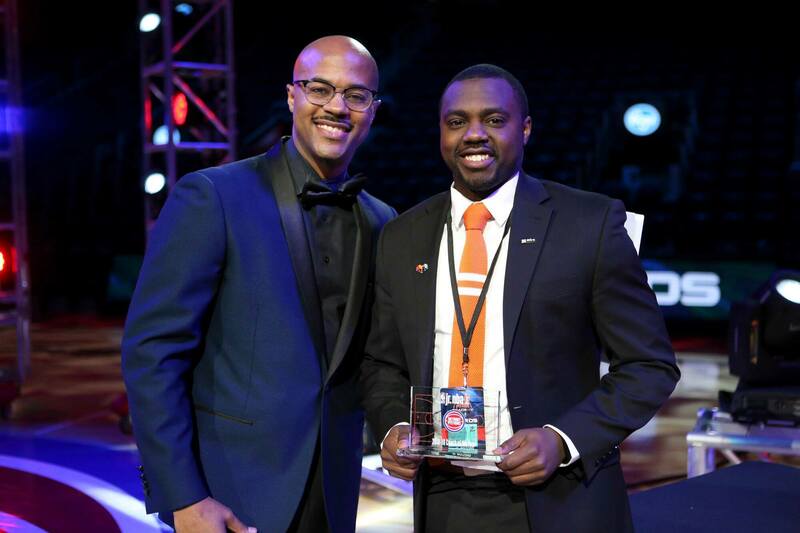 Coach Marcel Smith, a Detroit-based young professional and multi-faceted entrepreneur, accepted his nomination at the Pistons Academy Awards in March. A native of Detroit, Marcel completed his master’s in business at Houston Baptist University, where he played basketball and later held a position as Director of Basketball Operations for the men’s basketball program. Marcel’s speed on the court led to success on the scoreboard during his playing days, but it is his intellectual swiftness, natural leadership ability, and propensity for people that allows him to achieve in the other facets of his life and work. Marcel is the published author of The Balance: A Guide for Student-Athletes and demonstrates the importance of balancing all aspects of life in all that he does including managing The Family Basketball Organization, mentoring youth through the Detroit Stars/Cares Program, and training schools and organizations with Essential Colors. ABOUT THE CONTEST: From the grassroots level to the professional level, the positive impact that a coach can have on an athlete is undeniable. 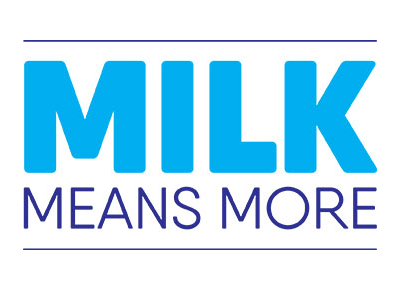 A coach’s role extends further than wins and losses; it’s about teaching life lessons and developing young people into healthy, confident and respectful adults through the medium of sport. HOW TO VOTE: A social media vote will be used to help determine the winner of the Jr. NBA Coach of the Year Award! 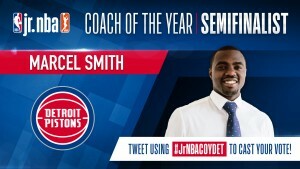 Fans may use the hashtag #JrNBACOYDET on Twitter to vote for Coach Marcel Smith.